Conversational Hypnosis is a type of hypnosis where it is very important to access certain states of mind in order to set triggers to change lives for the better. In order to do this you must learn and know how to access those states to start the trigger process with a clean and pure state of mind. Access State Principal plays a huge role in this process. This is because the clarity of the state of mind a person is in when the trigger is set will determine how well the trigger is going to work, if at all. When people access emotions they are really going back through their files of memories to re-experience memories that correlate with the emotion you are asking them to bring to mind. If you are asking them to relax they will think of times and places where they felt this way. Accessing the state of mind you want is important. However it is equally important to make sure it is a pure state. You will have conflict in placing your suggestions and triggers if the state of the listener is not just in the mode of relaxation. If your listener is experiencing relaxation along with anxiety it will cause the same combination of feelings when you set off the trigger again in the future. 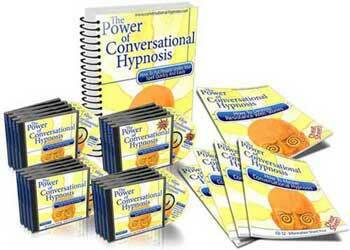 This can cause problems in accomplishing the changes you want to achieve throughout the course of hypnosis. The main thing from previous articles you will want to remember as you learn to use revivification is that you need to know how to change the whole mood of a person before setting your emotional trigger. If you can keep this in mind and access a clear state of mind before setting those triggers it will aid in the process of accessing states with revivification as well. The concept behind revivification itself is to bring an experience to life for the person having it. The listener needs to be able to experience the memory fully in order to access a completely pure state of mind. This means you will be using and developing different skills in this process that will make the experience as real as possible for your subjects. The first state inducing method (and the only one we will focus on in this article) is the revivification process. This is a process of accessing a state is by asking revivification questions. These questions are used to give direction to your subject while they are attempting to emerge themselves fully in a particular emotional state. In your practice as a hypnotist you will be asking questions of the people in your care, these questions will be the start of a journey through their experiences in order to answer each one. You see when you ask a question of someone they are required to re-experience the situations where they felt the way in which you are asking about. We all must experience the actual answer before our minds compute how to answer a question. Revivification will run more smoothly if you apply the principal of ‘going first’. ‘Going first’ in this situation means that you will first tell as story of your own that would get you into the same emotional state you are trying to get your subject into. If you want the person to feel happy you would tell a story of a thing that happened or a time when you were completely happy. By ‘going first’ your physiology will change, your body will sub-communicate that emotion on an unconscious level through tone, body language, movements and gestures. In turn the person you are talking to will unconsciously pick up on those signals and start to be open to accessing that emotion as well. After you have told a story and you are now in the same state of mind you wish your listener to be in you prompt or ask them of a time when they felt that way. When you ask questions of the people around you, especially when using revivification you want to make each question sound meaningful. If you sound bored or uninterested the person you are working with will be more likely to reserve their answers, meaning they will not be interested in reliving an emotion for you. When you ask a question make it sound like the answer is extremely important to you. You can use different tonalities and language suggestions to make this happen. This will cause the person to really get deeper into the experience and in turn give you a much more quality answer. The next step in revivification questions is to listen closely to the answer the person is giving, and repeat it back to them. You want to do this in the exact same way they said it to you. Use the same tone, lean and emphasis on the words they used. The reason for doing this is people will use words that are what we call trigger words, these words are important to them. When you repeat the same words back using the same tones and such it will help your listener to access the memory and experience it more fully. As you are doing this you will notice that you are going to be able to create a kind of feedback loop. In this loop you will give a story to go first, then ask them to give an example of the same emotion, listen for the sensory information they are giving, repeat the answer back to them exactly as they have said it and then start again. Each time you complete the loop you will be allowing the subjects to dive deeper and deeper into the state of mind you are accessing. As you use the process of revivification remember that part of the goal is to make the experience as real as possible through the language and stories each of you are telling. This is a powerful scenario and will be a great help in accessing pure clean states of mind.